Cho-Yung Weight Loss Tea reviews (UPDATED 2019): Is it safe? Cho-Yung Weight Loss Tea reviews: Is it safe? What is Cho-Yung Weight Loss Tea? 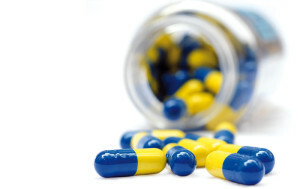 Unlike other weight loss companies, Cho-Yung isn’t really claiming to have discovered a miracle drug with this product. Drinking a cup of green tea twice a day definitely seems like a far stretch from some of the complicated regiments that some diet pill products require you to stick to. But can such a simple product really yield substantial weight loss results? Let’s take a look at Cho-Yung’s Weight Loss Tea and see what it’s really capable of. Cho-Yung Tea is produced by the company of the same name, although there does not seem to be much information regarding the company on the product’s official website. The only contact information provided is an email form, phone number and links to several social media profiles that don’t really offer any more substantial information. According to the company’s twitter profile, they are located in Kent, England, but no physical address for the company is offered. The official Cho-Yung website instructs users to drink two cups of tea per day, advising them to drink one cup in the morning before their first meal of the day and another at night after their last. The official Cho-Yung website describes the company’s weight loss tea as being “synergistic”, which means that its ingredients are designed to work together to produce optimal weight loss results. Cho-Yung Tea is allegedly capable of improving the way your digestive system functions by oxidizing the fat you consume and blocking your body’s absorption of excess amounts. The company also claims that drinking this tea will leave you feeling cleansed of your cravings for sweets and junk food, but offers no scientific explanations or evidence of studies done to prove any of the claims they make about their product. There are plenty of positive user testimonials available on the official Cho-Yung website, but it’s generally a bad idea to trust reviews provided by the company itself. A look around other review sites and online marketplaces reveal many negative reviews written by users complaining about an almost complete lack of results. Some claim an older formula that the company used to sell was more effective, but there is not much information regarding this supposed older formula available online. 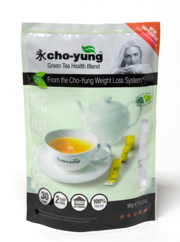 Cho-Yung’s Weight Loss Tea contains several ingredients to compliment its base of Oolong green tea. Lotus leaf is included to aid in digestive, the presence of Alisma reduce bloating, and Poria and Iiaogulan regulate and support your body’s internal organs, such as the heart, kidney, spleen and digestive system. Of course, green tea is a widely known source of antioxidants, and is popularly believed to boost your metabolism, but Cho-Yung claims that the tea’s blend of additional ingredients is designed to optimize weight loss by all working together. Cho-Yung’s official website offers recipes for healthy foods to work into your diet. Cho-Yung’s Weight Loss Tea doesn’t seem to have too much going against it, but it definitely doesn’t seem to be bringing too much to the table either. None of its ingredients are clinically proven as being effective weight loss tools, and reviews of the product that can be found in most online marketplaces report experiencing disappointing results. Cho-Yung’s Weight Loss Tea is designed to help users lose weight with a synergistic blend of ingredients that allegedly block your body from absorbing excess fat. Cho-Yung advises users to drink the tea twice daily, in the morning and at night. However, while the company claims that drinking the tea will result in weight loss, it provides no clinical evidence to back up this promise and the product has been negatively reviewed online. Cho-Yung’s Weight Loss Tea seems to be a pretty simple product, so it’s unfortunately no surprise that it’s apparently incapable of delivering any substantial weight loss results. Using this product doesn’t seem like it’ll result in too many negative side effects, but if you’re really looking to effectively lose weight you may want to consider something a little more powerful. Whats better than Cho-Yung Weight Loss Tea?